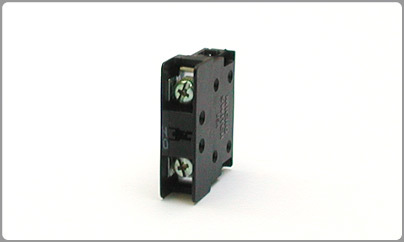 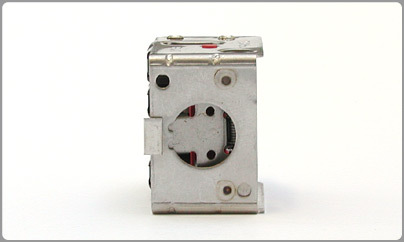 125VDC or 240 VAC with monentary or alternating action. 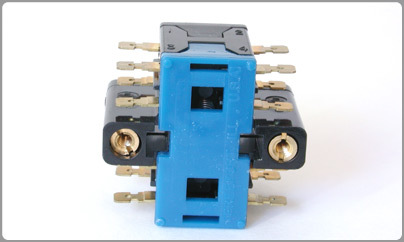 Small footprint contact blocks with electronic duty to heavy duty versions. 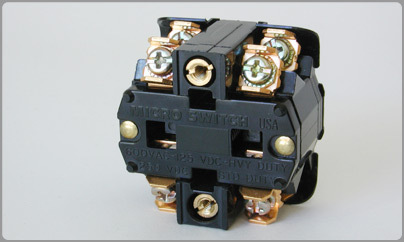 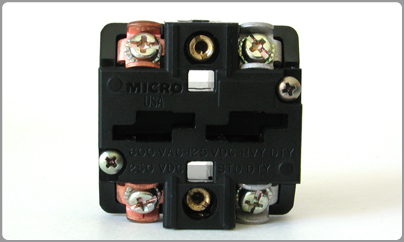 (1 Amp to 10 Amp carry current, up to 120VAC and 125 VDC) Gold bifurcated or silver contacts.